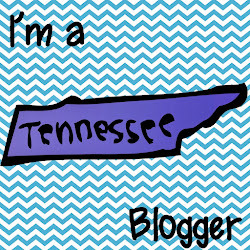 I am so excited to finally put together this post! Book raffles have truly inspired readers in my classroom, and I am so thankful for the inspiration from some of my favorite bloggers who encouraged me to add this tradition to my classroom this year. My only regret is not doing it sooner. Before you read this post...PLEASE know that you can add book raffles to your classroom NO MATTER WHAT grade you teach. 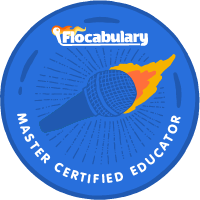 ALL students can benefit from this exciting reading/learning activity. One of my biggest goals this year was to help create a community of readers-students who wanted to read without me telling them to, who shared what they were reading with others, who got up in front of the class to give their feedback on their book to their classmates, and who would beg me to buy new books over and over again. There have been a lot of ways that I have been working hard to make this goal a reality and book raffles has been one of those ways. 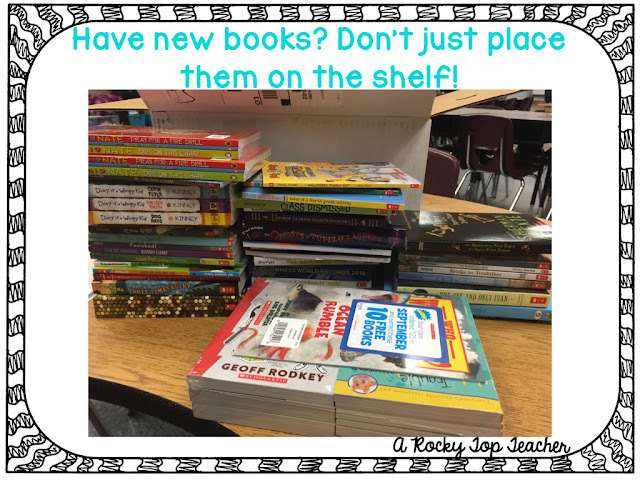 What do you do with all of your new books that you buy, find, or have donated to your classroom? Do you just place them on the shelf or do you actually show them to your kiddos and talk about their new reading choices? While you may not be able to do a book talk on every book, I encourage you to host frequent book raffles to help introduce your students to the new books being added to the shelves and add excitement to getting to read the new materials. What is a book raffle? 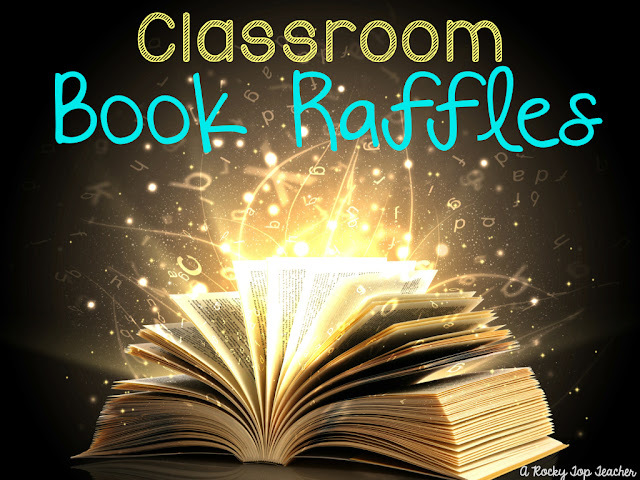 A book raffle is an activity that should help ignite a passion for reading in the classroom and beyond. 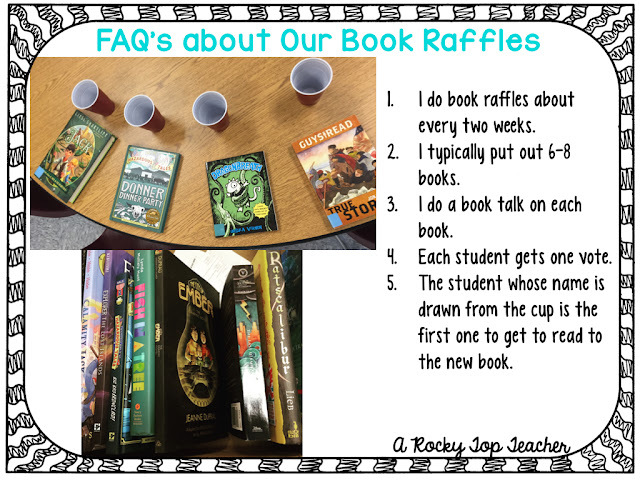 The teacher "raffles" off the new books to students by doing book talks on each of the books, letting each student place a vote in the cup of the book they want to read, and then drawing a name and picking a student to read the book first. How do I pick the books? I try to pick a mixture each time that includes book titles that the students have requested, nonfiction texts on topics that interest my students, my personal favorites from now or my childhood, or popular texts/classics recommended by Scholastic, our librarians, etc. Don't worry about the grade/ability level! This is just a personal opinion, but I don't generally worry about the grade level of the books in my classroom. I don't want to ever discourage a student from reading a book because it is "too hard" or "too easy" for them. I help students learn how to pick "good fit" books and then help them out when needed. All students should participate with equal opportunity! 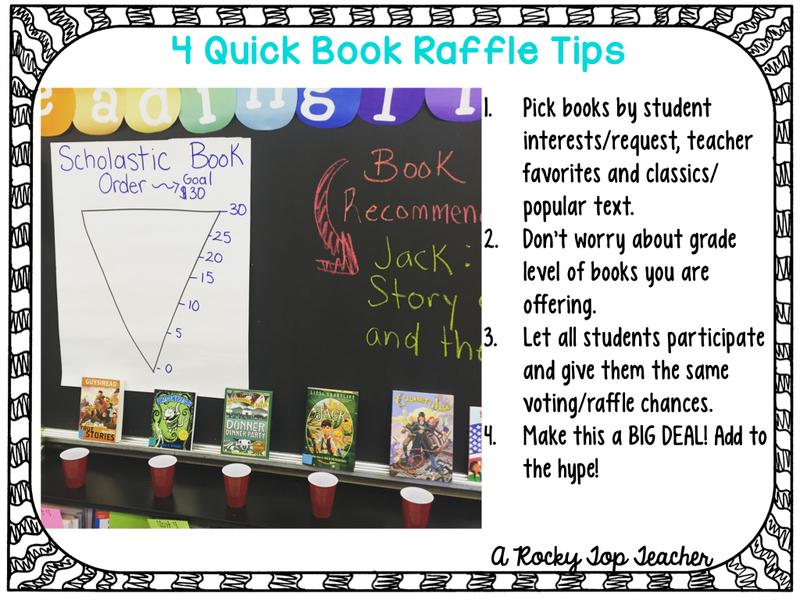 All students in my classroom get the opportunity to participate in the raffle. I don't punish students and prevent them from reading, and all students only get one vote. This is again a personal preference, but I want to encourage reading...not discourage students from books! 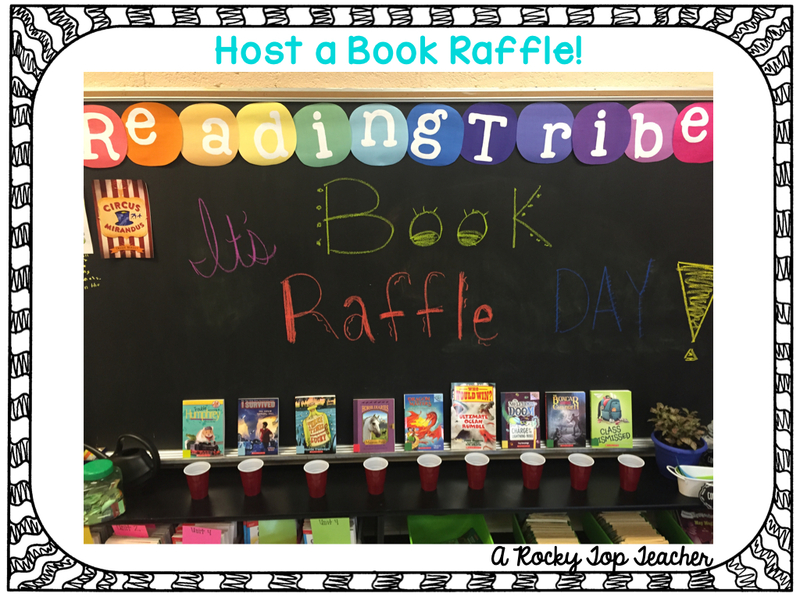 Books Raffles are a BIG DEAL! Book Raffle days are HUGE in my classroom. I may shout, dance, sing, jump on tables, kiss books...you name it! We have drum rolls on desks, chant, and celebrate when students' names are drawn. I want students to buy in to the hype of reading the book! I am very fortunate to have received some donations to help my classroom so I try to do book raffles every 2-3 weeks. You could do one once a month if that fits your schedule better! I have two classes(one in the morning and one group in the afternoon) so I try to do 6-8 books per class. I provide a book talk on each book. Some are done by me because I have read the book personally, sometimes students may do the book talk if they have already read the book, I find videos of others doing book talks on our book raffle choices, and sometimes I may just read the book jacket. However I share the book, I make sure that it is EXCITING! The student whose name is drawn from the cup gets the honor of reading the book first before it gets put on the classroom book shelf. We always celebrate this! I also encourage the student who gets to read the book first to share his/her thoughts on the book with the class when finished with the book. NOW...what are you waiting for!?!? 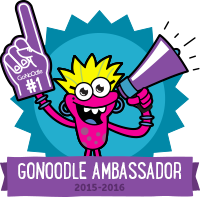 Go try this in your classroom! I promise that you will not regret it! Super cute idea! I usually highlight my new books from Scholastic, but not to this extent...THIS is SO much better. Once per month will probably fit my schedule best. I'm excited to start! Thanks for the great idea!